As 1944 neared its end, a spirit of optimism seized the Allied forces. Following the D-Day landings in June (detailed in Antony Beevor’s last book) the Allied advance towards Berlin looked unstoppable. Many predicted a repeat of 1918 and a second internal collapse within Germany ensuring Allied victory before Christmas 1944. This was not to be. Hitler’s surprise counter-attack on the relatively undefended area of the Ardennes failed in its ultimate aim to split the Allies by driving them back to Antwerp. But it did succeed in prolonging the war, provoking a fit of squabbling among the Allied generals – notably Montgomery, Patton and Eisenhower and cost many lives. Among the US troops on the ground were the established author and adventure-seeker Ernest Hemingway and the future novelists JD Salinger and Kurt Vonnegut. Trapped in the notorious Hurtgen Forest, the future Catcher In The Rye author Salinger was present for one of the bloodiest engagements endured by US forces during the entire war. Few topics have proven more an enduring a source of fascination than the Second World War and few have continued to chronicle it as masterfully as Antony Beevor. 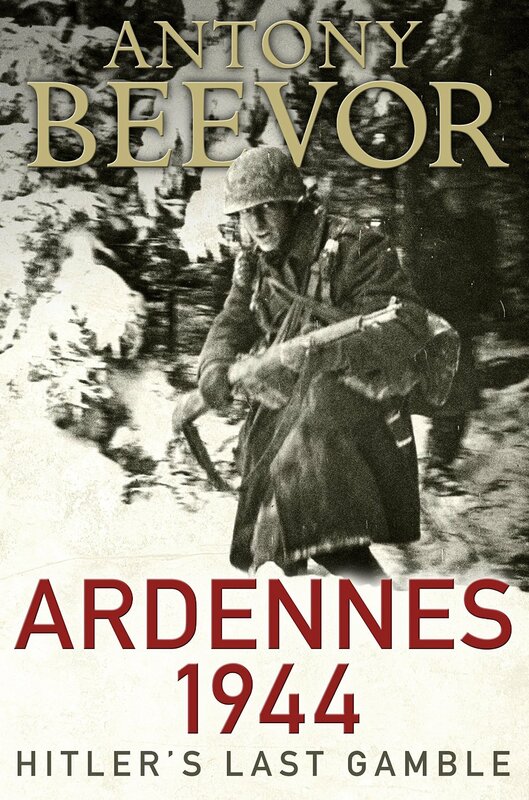 Ardennes 1944: Hitler’s Last Gamble by Antony Beevor. Published by: Viking. On this historic day, it is easy to lose perspective. Margaret Thatcher is easily the most divisive leader Britain had during the 20th century. To her detractors, she is the heartless wicked witch of the south, a mad cow and the architect of mass unemployment, social disorder and a culture of misery and greed. To her fans, she is the saviour of our nation rescuing us from decline, socialism, Argies and unions. The reality is clearly somewhere in between. Clearly, she was not evil in the sense Hitler or Stalin were evil. The unions were overmighty in 1979. She was (generally) a good war leader and did what she thought was right. In that sense, she deserves our respect and we should send our regards to her family. But let’s keep things in perspective. She presided over a steep rise in crime, unemployment and social disorder. Murdoch got his claws into UK society largely thanks to her. The Poll Tax was a disaster and horrendously unfair. Homelessness and rioting returned to the UK largely thanks to her. She was no Winston Churchill.